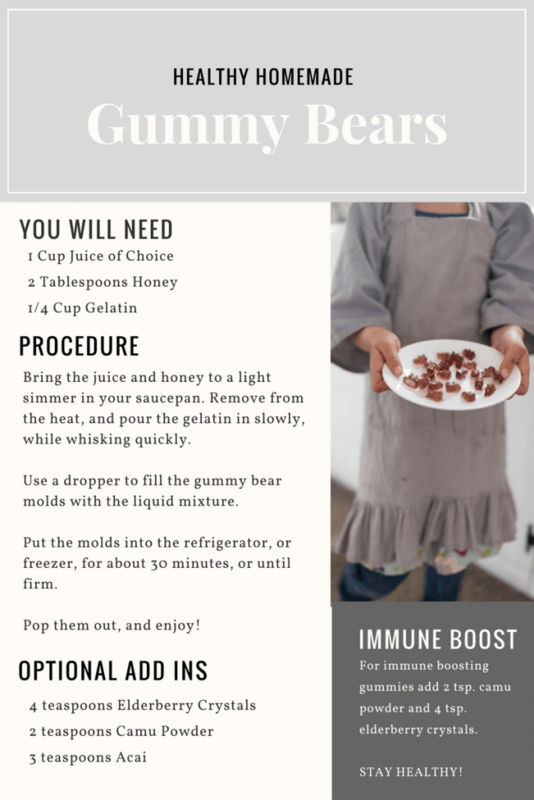 Today we have, healthy homemade immune boosting gummy bears, made by her kids. She includes a free printable PDF of the recipe. You MUST watch the video…SO CUTE!!! For the recipe and her free printable, scroll down!